Not every virtual assistant job is easy or simple. Some projects start out well but as you work, you encounter problems that feel overwhelming. The good news is that while it may seem like a big deal now, many of these problems can be solved quickly and efficiently once you know what to do. Being a Virtual Assistant is more than just doing tasks. It’s more about your attitude, your ability to take on responsibilities that are not assigned to you. It’s about being proactive when it comes to serving your client. Handling things that you know should be done in the first place. Look, a good client understands that your time is valuable and never wants to take advantage of you or your skills, however, they need to know you’ll feel the same about them. Some virtual assistants complain about the ‘feast or famine’ cycles in their business. But the truth is that VA’s with this problem aren’t focused on getting repeat work. LinkedIn has over 500 million members and counting, with 61 million of these members senior influencers and 40 million are decision makers. These are the people that you hope will be either establishing a business relationship with and or purchasing from you. When you are creating your content you need to consider the questions and problems that they have, as well as your solution to those problems. Content marketing is supposed to anticipate the needs of your audience and supply information for meeting those needs that you are the ideal company to help solve their problems. For you to do that, you need to research your target audience. Take some time to look at what your target audience is posting on their news feeds, consider the industries they work in, and look at what other products and services are available to them. Your target needs to be narrower than simply, everyone. Otherwise, you will be wasting your time and marketing resources to people that you won’t be able to convert to paying customers. Not everyone is someone who will need or want your product or service. Use your current connections to see what your target audience will want because these are usually your direct buyers or associates of your target audience. Generally, your target market is already aware of the type of product or service you are offering. LinkedIn has a marketing tool called Web Demographics, that will allow you to track the kinds of people who are visiting your site by cataloging their profile information. This will allow you to see company names, seniority level, job title and other necessary information that will help you to tailor your content. Need help creating your LinkedIn Content Strategy? Set up a complimentary 15-minute discovery session here! Gutenberg is going to change the way you use WordPress. Something that is going to change the face of WordPress. No need to fear! Download this free report and checklist so you can know everything you need to know about Gutenberg, how it works, and how it affects your website. As a bonus, you will a Gutenberg Checklist to help ensure you are ready for the big change! Hiring a virtual assistant is a major step in growing your company. 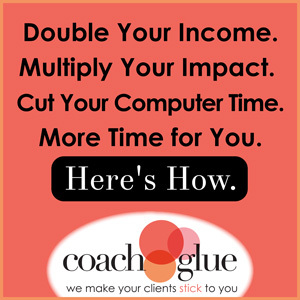 With a VA taking over certain tasks and aspects of your business, you can do more. They give you more time to plan and strategize, and more room to scale. The key to hiring and working with a VA successfully is to plan well. Start by thinking about what tasks you want to outsource. Consider tasks you’d like to outsource today, as well as those you might find helpful as your business grows. For example, you may have some routine daily activities you can get rid of now, but also plan to turn over your social media and blog writing to someone in the future. You need to clarify which tasks you’ll outsource so you can find a qualified person to handle them. This will determine the skills and experience you’re looking for. Following up with your VA to make sure they don’t have any issues and to giving them constructive feedback. This process is important at the beginning of your relationship with your VA, but you won’t need to continue after the first few months or so (though it never hurts to give feedback). What’s important here is to have everything planned and in place before you hire them. Before hiring a virtual assistant, you’ll need to set up a plan for working together. This includes any tools you’ll use, such as a project management software program or special platform for communicating. Since you’re working together virtually, you’ll have to choose a method and frequency for communicating with your VA. Even if they know what to do and the work is going smoothly, it’s good to touch base regularly and see if they’re having any issues. There may also be changes you need to tell them about. Finally, there’s a certain mindset you have to cultivate in order to hire a virtual assistant. There are risks involved and you’ll be handing over some aspects of your business to someone else. During the process of hiring and working with a VA, keep in mind the benefits of this working relationship and the future growth it will enable. We’ve only scratched the surface here and I have much more I can tell you about hiring and working with a VA.